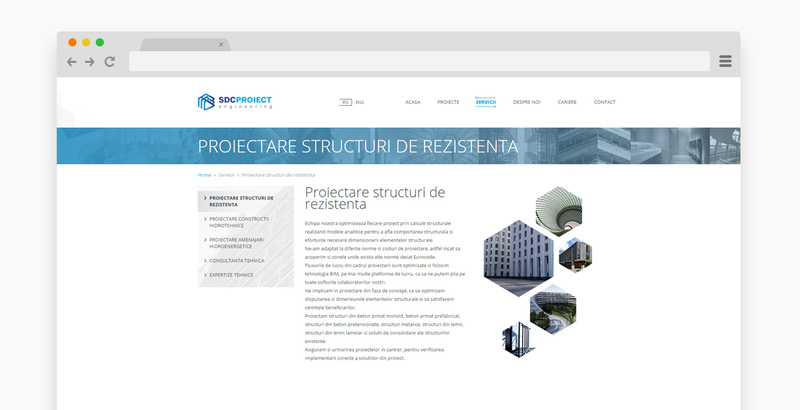 With a young but highly competitive and ambitious team, SDC Proiect offers technical consultancy and expertise, as well as structural design services. After building a solid reputation on the local market in Cluj Napoca, they extended their services abroad, working close with customers and engineers from all over the world. Here’s how we helped SDC Proiect eliminate all geographical barriers and become a competitive service provider on a worldwide level. A strong online presence was imperative for allowing them to maintain proper communication with all their contacts and new prospects. 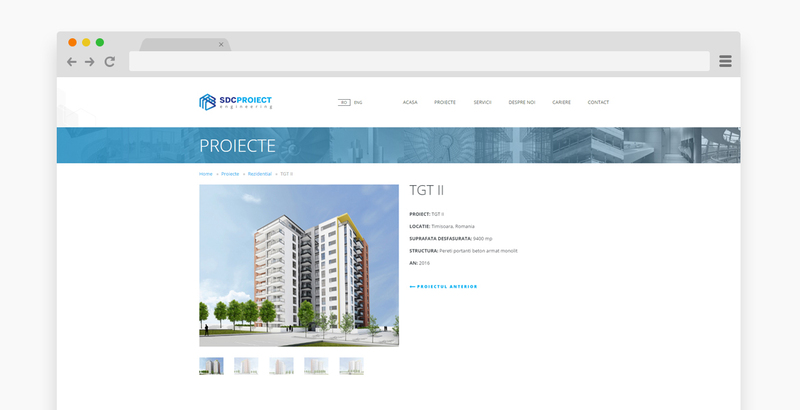 Our team of developers and designers, however, faced the challenge of building their website from scratch. 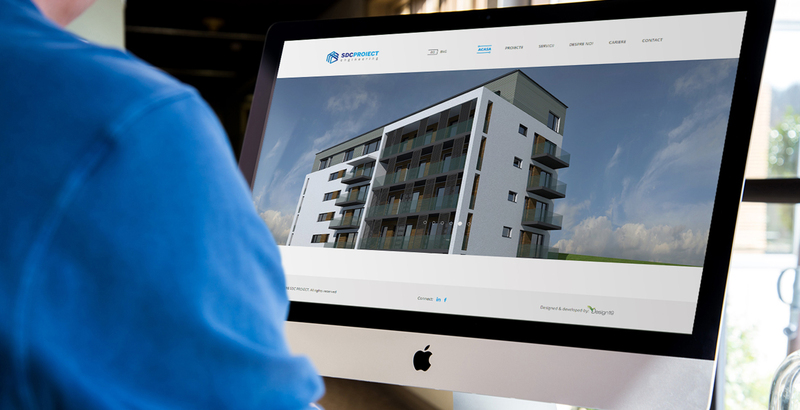 Their brand required A-Z consultancy, backend and frontend development, as well as a specifically tailored design to reflect their engineering capabilities. 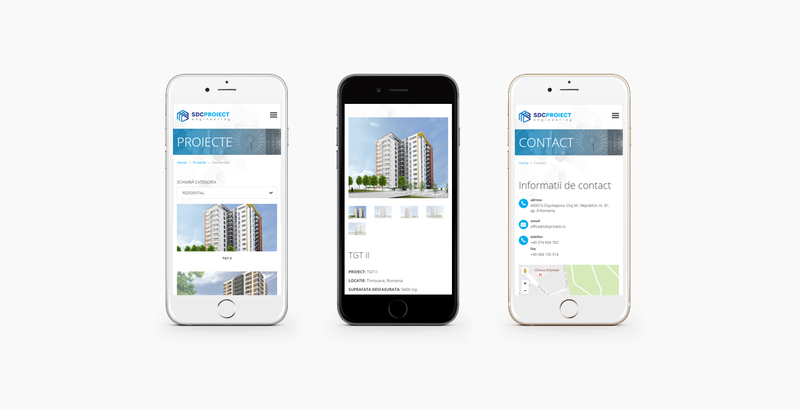 Following a thorough site audit and numerous discussions with the SDC Proiect team, we decided for a bilingual website to cater the needs of both local and foreign clients. We opted for a simple and clean architecture, with a design focused on geometric patterns, underlining the exact, meticulous approach that would characterize a structural designer and engineer. 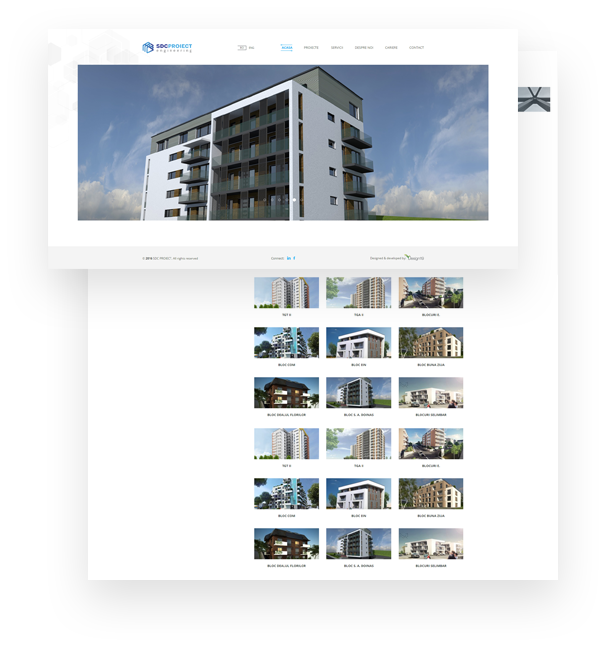 Moving to the execution phase, we created a completely new presentation website built on WordPress, with plenty of custom features. 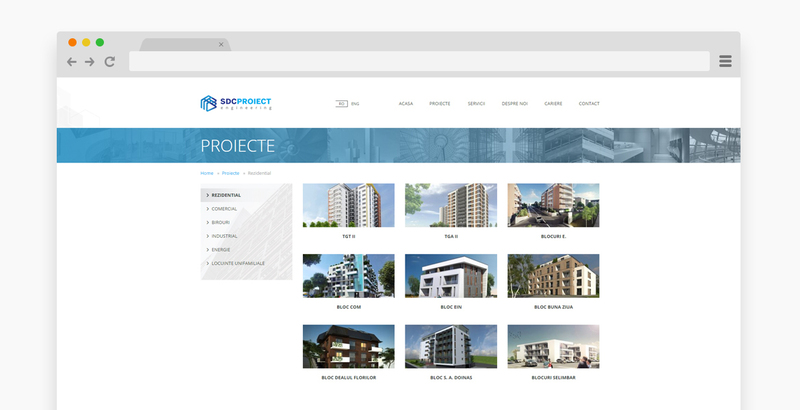 Our goal was to allow the client showcase the most relevant projects and the expertise in the field. An effective and intuitive categorization of their services and projects was, for these purposes, extremely important. Another major point of the project was represented by the Careers section. Given their availability to constantly grow their team with the best professionals, we wanted to provide them all the necessary tools for an effective recruitment process. The SDC Proiect team now receives automatic notifications every time someone applies for a job. Moreover, every resume that they get is saved in their own administration system. 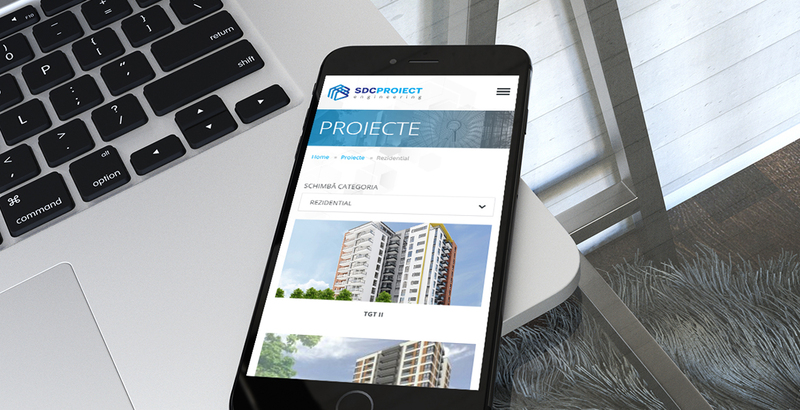 From not having a website at all to their current bilingual website that puts their greatest works under the spotlights and makes communication a breeze, SDC Proiect went to a major transformation. Their success continues to grow long after our work ended part because of our development and design hard work. We created an unique, but simple design, creating a powerful image to reflect the company's scope. Your business has nothing to do with engineering, but does it please you everything you see? Ask for an estimation now!